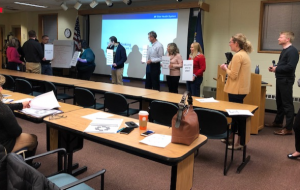 At the New Hampshire Lottery Commission, not only are we building the Lean bench by adding 2 Green Belts and 12 Yellow Belts, we are also piloting our own grassroots mentoring program for supervisors. 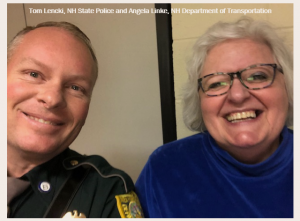 The NH Bureau of Education and Training is a great partner in training and it’s up to us as an agency to follow up with discussions about what we’ve learned and how to put what we’ve learned into practice. The mentoring program is titled S.T.A.R. (Supervisors That Are Resources). Our pilot group (see photo) meets weekly, with a strict time limit of 30 minutes, to explore various topics. If more than 30 minutes is needed to discuss a topic, it is continued at the next meeting. Topics can come from a BET training session (from Lean, CPM, CPS, Foundations of Supervision, etc. ), from a book (any Lean, Management, or Leadership book), or current challenge (morale, motivation, inspiration, etc.). To date the group has explored: Team dynamics – The Five Dysfunctions of a Team, Employee appreciation and inclusion – How to be a Dream Manager, Emotional Intelligence – The Five Components of Emotional Intelligence at Work, Leaders paying it forward – Step Up and Lead; Puzzles – How to approach putting pieces together; Managing Up – Managing is not just one way; and Leaders are responsible for outcomes – Extreme Ownership. The program is an immediate success with participants learning from each other. Inevitably, everyone leaves the meetings feeling inspired and eager to get back to work with their teams. It sets a positive tone for the day! Congratulations to the NH Lottery Commission on their Lean advancement! On Friday, December 14, 2018 the State of NH Lean Quarterly Network Meeting was held in Concord, New Hampshire at the NH Fire Academy. The meeting’s theme was “Lean, Culture, Leadership Support; How Do They Work Together?“. Special guest speakers Alastair Howie, Meagan Smart, and Jess Caron walked the attendees through the Elliot Health Systems interactive Lean transformation journey. Angela Linke, Lean Black Belt, NH Department of Transportation’s Lean Coordinator and Lean Executive Committee’s Network Coordinator shares “A number of regular attendees of the Lean Network Meetings asked that we schedule a presentation from a group who has embraced Lean in their organization. 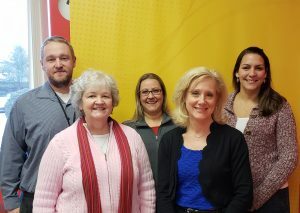 Having heard a presentation from Elliott Health System about their Lean journey, we realized that they’d be a perfect fit to present their Lean culture to the group. They did a great job showing us where they are in their journey and how they got there. Thank you Alastair and your team!”.